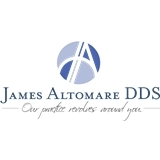 James Altomare D.D.S., P.A. (Skillman) - Book Appointment Online! If you're looking for a quality Skillman dentist for everyone in your family, schedule a consultation with Dr. James Altomare. At James Altomare D.D.S. we're committed to providing a friendly and comfortable environment, along with comprehensive service and personalized care. You and your family will be pleased to find that your visit is pleasant and low-stress, and we're always happy to treat patients of all ages. Looking for family dentistry is a great way to take care of the dental needs of yourself, your spouse, and your children all at once. However, as any parent knows, when your children are involved you want to make sure that your dentist is someone in whom you can place the utmost trust. We've been caring for the healthy smiles of Skillman adults and children alike for years. If I lived here locally,, I would definitely to get him as my primary dentist.